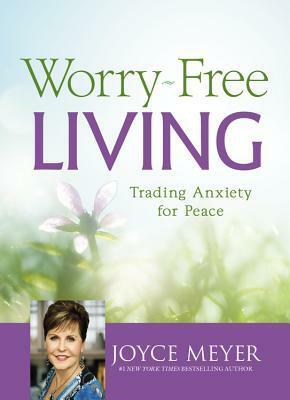 In the latest book by Joyce Meyer, "Worry- Free Living", she teaches the reader what it means to cast our cares on God. 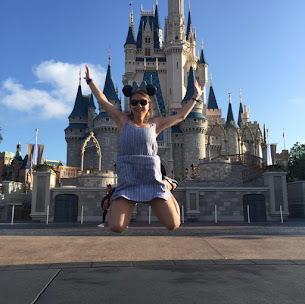 Worry Free Living is all about trading anxiety for peace, which is based on scripture and the peace that she is talking about is something that only the Lord can provide. This book is very small, something you can throw in your purse, briefcase or stick in your nightstand for those nights where you're unable to sleep. Each chapter is in the format of a devotional format, so it doesn't take the reader a long time to read, but the concepts are very practical and reasonable. Instead of seeking peace and security from worldly things, we should be seeking it from the Lord and Joyce makes the distinguish in this book, which is why this book is perfect for anyone who struggles with anxiety. I love how she just shows the reader how to dismiss their fear and anxiety with the word of God and casting their cares on him. I enjoyed reading this book as a devotional and also I stuck it in my nightstand for the nights when thoughts were running rampid through my mind because I could not sleep. Thank you to Faith Words, a division of the Hachette Book Group for providing me a complimentary copy in exchange for my honest review. This book has lots of golden nuggets of wisdom that is easy for anyone to follow and is a great way to learn how to manage anxiety, worry or fear. I give this book 5/5 stars because of it's Biblical content, ease of use and how great of a resource it is.